I remember gazing at the jellyfish with utter amazement in Hong Kong’s Ocean Park aquarium. Little did I know that their sting can be so painful and apparently some species’ sting can actually prove fatal for humans! I love the ocean and shudder to think how would it feel to get stung. 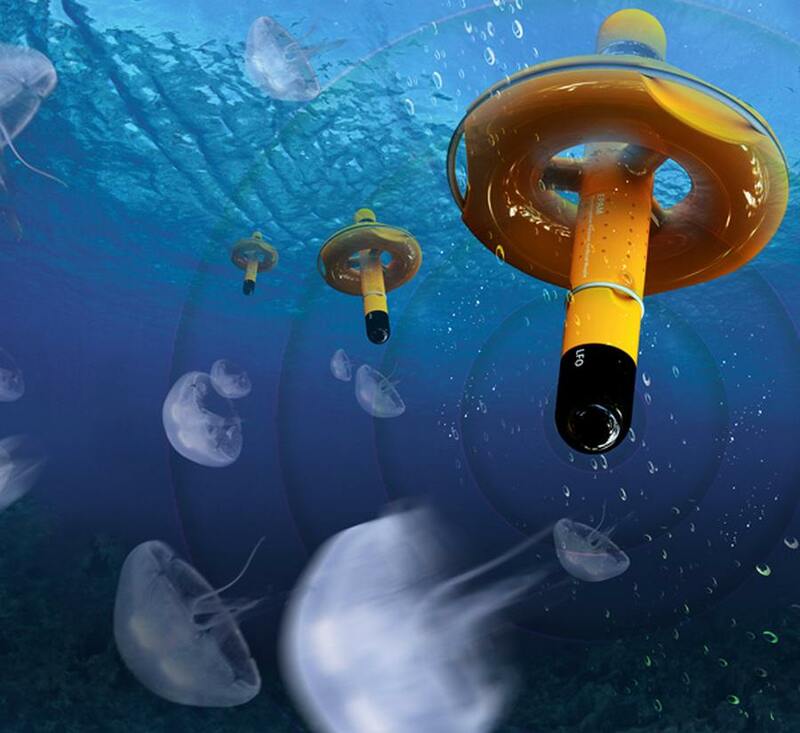 The Ocean Guard is a series of buoys that use ultra-low frequency sound waves to prevent jellyfish from entering certain areas. It is a safer way to keep them at bay, without harming them. Peaceful co-existence I suppose. Ocean Guard is an IDEA Award winning entry.